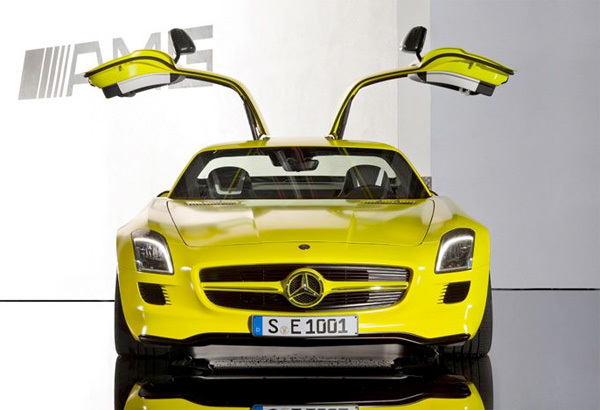 How exciting is this prototype as far as greener sports cars go? 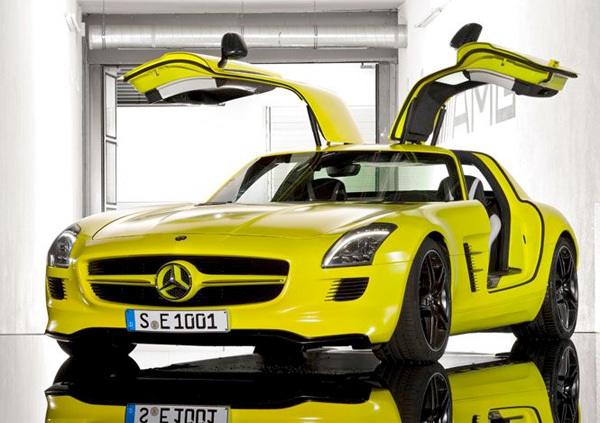 But calm down a bit, unfortunately, the Mercedes-Benz SLS AMG E-Cell gullwing isn’t scheduled until sometime in 2013… 526 horsepower, 649-pound-feet of torque, 0 to 60 in 4 seconds… just a smidge slower than its gas powered counterpart. 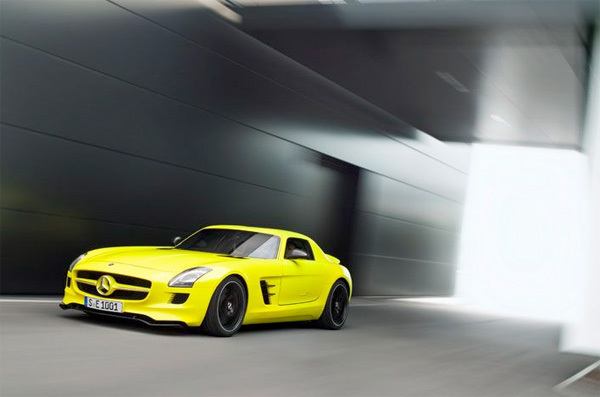 As for this paint color… wow. 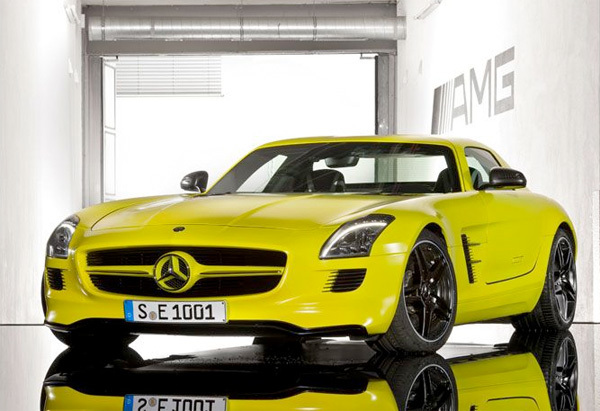 It is apparently called “AMG lumilectric magno” paint. For more technical details check out the piece by Automobile Mag, for more lustworthy images ~ including a look at the intriguingly simple dashboard and carbon fiber center console, see the next page!